I don't know if this made the national news, but the South Dakota media was all over the story of a 72 year old SD man, Daniel Lucas, who snow-birded in winter to Arizona, and who never came back last spring and was missing. Well, they found him. He killed himself in his car, they say. His head was in a box, and his body down in a canyon in Maricopa County. So how did he get dismembered? Well, apparently a homeless man, Mattew David Hall. found him in his car, dead, and rather than call the police, he moved the body but kept the head to prove that he hadn't killed him... And kept it for a long, long, long time... They say that Mr. Hall has mental issues. Yah think? I think the guy kind of looks like Nick Nolte, so there's casting if they ever make a movie of it. on a “Love Hurts," worldwide media tour. No one knows if that meeting took place: Sessions told the House Intelligence Committee he didn't remember the request. 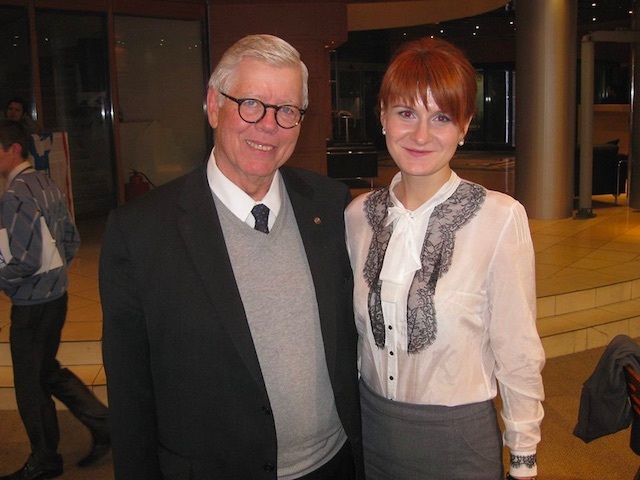 Okay, so Erickson is also connected to Russian gun rights advocate Maria Butina, who's worked for the deputy governor of Russia's central bank, Alexander Torshin, and who ran a pro-gun group in Russia supported by Torshin. 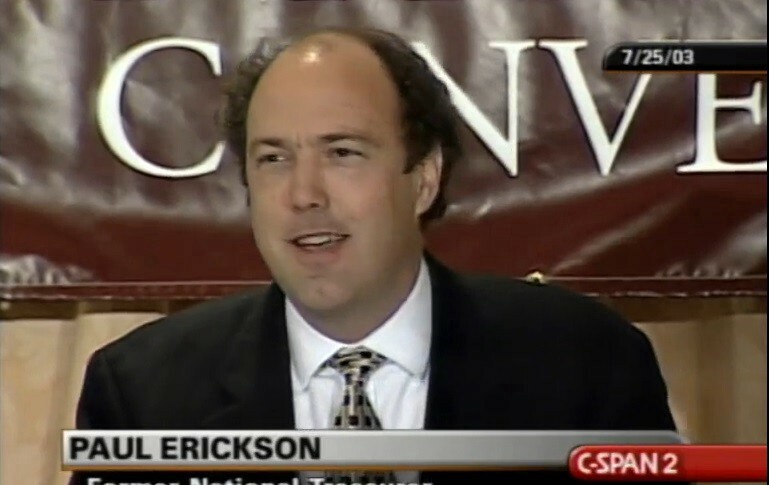 Erickson and Butina formed a limited liability company called "Bridges" in South Dakota in 2016 (I don't know if it was before or after the Kremlin Connection e-mail), which has an address in a Sioux Falls apartment building and no known actual purpose. (Can't even find it on the web, dag nabbit.) So - according to McClatchy news outlet, the FBI is investigating whether Torshin funneled money (thru Butina, thru Erickson?) through the NRA to help fund the Trump presidential campaign. The NRA spent $55 million on the 2016 election with $30 million of that going to the Trump campaign. Well, the ACLU and most of us South Dakota smart-alecks had a lot of fun with that (google freely), and it's since been amended to ban renditions of the seal that are “greater than one-half inch in diameter and used for an official purpose or a for-profit commercial use” while at the same time making it clear that HB 1102 does not apply to “or limit any artistic or satirical use of the seal.” More fun is still being had, because how can you resist shooting ducks? (This is funnier up here, in Ducks Unlimited territory.) Google freely. "(1) A charge of a violation may only be filed by a victim whose person or property has been physically damaged by the defendant. If the victim is incapable of filing a charge of a violation, a family member may, but only if the victim does not object; and (2) The damages must be physical, quantifiable, and have already occurred." 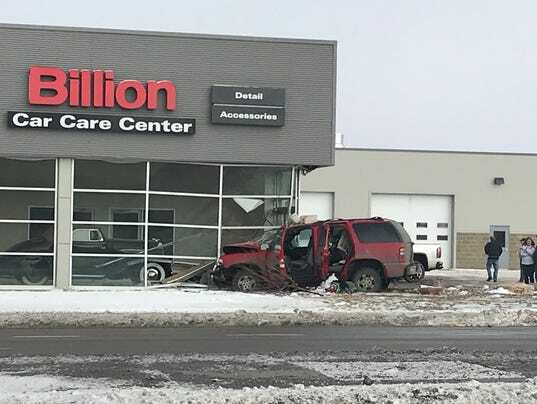 Local News: On January 24th, in an improbably appropriate move, a woman crashed into the Billion Car Care Center. Meth, not alcohol, and there were also 2 children under three in the back seat, who were unharmed, and are now "in the care of a family member." Thank God. BTW, here in South Dakota, if you get arrested, you get to do the walk of shame in jail stripes., which is then broadcast on the nightly news, and she looked shell-shocked, to put it mildly. Whether it was the situation she finds herself in, or that she hadn't had any meth in over 24 hours, I don't know. 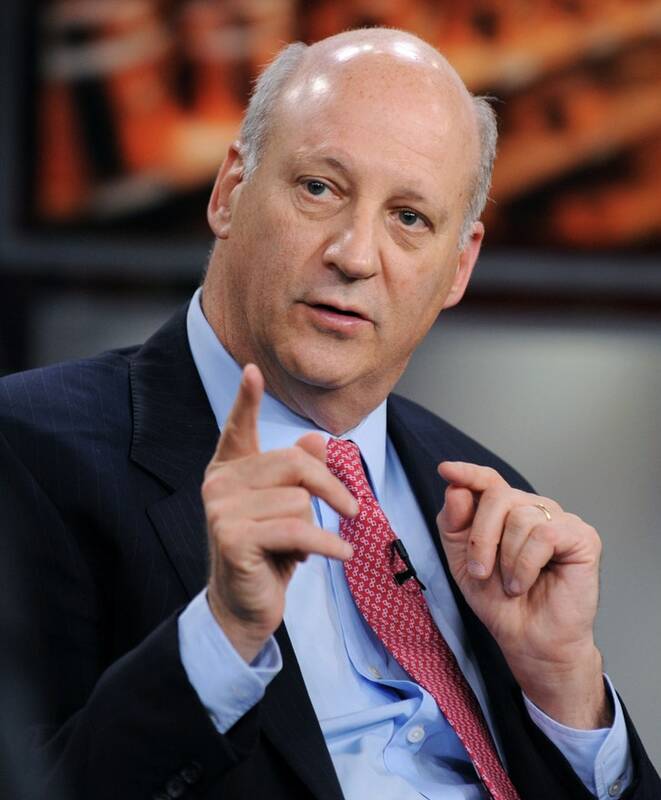 The latest scam: Perhaps because they saw the EB-5 and GearUp! rifling of federal dollars, Tobias Ritesman and Tim Burns (long-time Brookings developer) cooked up a new company, Global Aquaponics which was going to be a high-tech fish farm near Brookings, SD. (check out their website here!) They were going to grow fish and shrimp in tanks, and use the "nutrient rich" water to grow vegetables. And apparently there were quite a few people who weren't bothered by the lack of experience in shrimp farming available in the High Plains, because they managed to raise a few million dollars. (P. T. Barnum was so right.) But a year later, while the ground had been (barely) broken, no tanks were being built, and there was no sign of anything but a nice office downtown in which Mr. Ritesman went slightly off his nut one day and wanted to know about Bitcoins while waving a gun in front of a tech consultant. Let's just say that everyone got ripped off, and Mr. Ritesman and Mr. Burns are facing federal charges. In the "we should have known" department: Mr. Burns was involved in the EB-5 scandal. 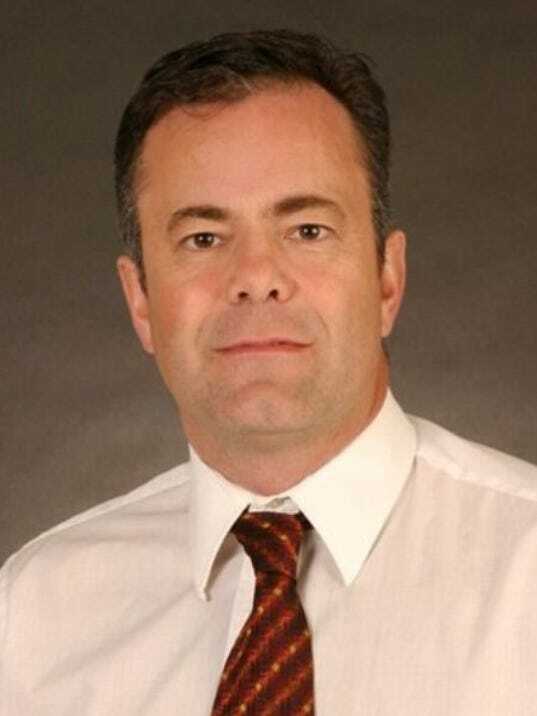 (Thanks again to Angela Kennecke at Keloland News) And Mr. Ritesman claimed to have won the same "Entrepreneur of the Year Award" as Steve Jobs and Elon Musk. He didn't, but apparently no one checked before investing. National News: So, no fish, no shrimp, no vegetables in nutrient-rich water. But we do have radium, at least in Brandon, SD. Radium, which is (1) radioactive, (2) killed Marie Curie, (3) can occur naturally, and (4) has been in the city's water for decades. It's also not uncommon across the country. An analysis by EWG (go here for an interactive map) found 170 million people exposed to radium from drinking water in 22,000 utilities nationwide. Brandon's radium level doesn't exceed federal guidelines. What's amazing to me is how much (and many) poison(s) you can have in your drinking water before it exceeds the guidelines Look it up some time. Well, that's all from South Dakota, where we talk like Mayberry, act like Goodfellas, and the crazy just keeps on coming. My husband just looked this over and suggested, "Sponsored by the South Dakota Tourism Department". It was Super Bowl Sunday 1980, when the bartender paged me to the phone. My boss was calling to let me know that a four-engine aircraft had come down in a wheat-stubble field just west of the Missouri River during the late afternoon. He then made a strong suggestion that I go to the scene. 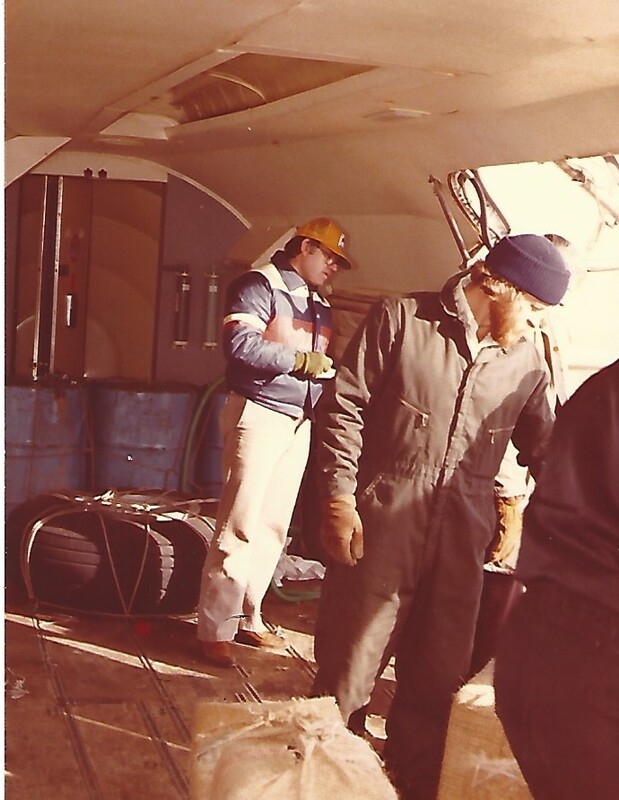 Just as the sun was peering over the horizon, I drove up out of a shallow ravine and there in the wheat-stubble field sat a four-engine aircraft with oil slicks from each engine dripping off the aft edge of both wings. The plane's fuselage was loaded with bales of marijuana, 26,000 pounds of the stuff. As we later pieced it together, it seems that a group of entrepreneurs had purchased a couple of four-engine aircraft in Spain and had at least one of them flown to Panama where it was worked on. According to regulations, whenever a plane departed the airport in Panama, it was supposed to file a flight plan as to its destination, however there is an exception to that rule if the flight crew was merely going to take off, fly around to check out the maintenance work and then immediately land. So, that's what the aircrew told the tower they were going to do. They took off like they'd said, but then kept on going south, all the way to a clandestine airstrip in Colombia, an airstrip guarded by Colombian Army soldiers. Corruption at its finest. The plane got loaded with pot bales and the aircrew was going through a pre-flight check list, when a jeep load of soldiers drove up and told the pilot to take off NOW. The pilot politely explained that it was too early to leave, that he had a certain two-hour window in which he was to take off in order to arrive at his destination at the correct time. At that point the conversation deteriorated. The Colombian soldiers pointed their automatic weapons at the pilot and insisted it was time for him to depart their clandestine airstrip. 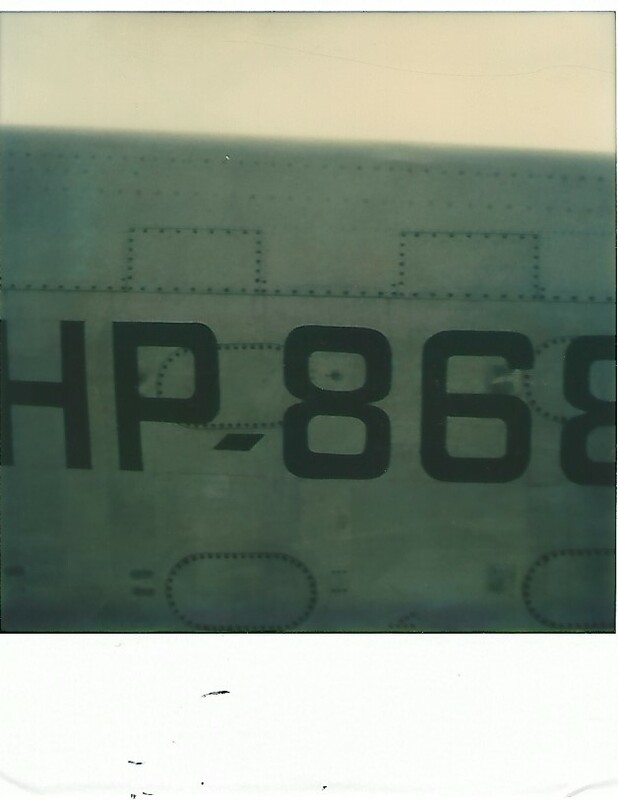 Not having any weapons of his own, the pilot quickly cranked his engines and took off. 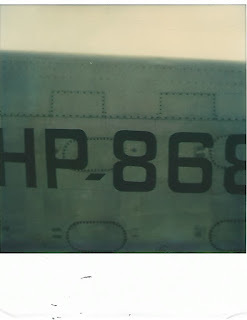 The tenseness of this experience rattled the aircrew's nerves enough that shortly after wheels up on the landing gear, they commenced the consumption of rum. Somewhere over the Gulf of Mexico, the plane lost oil pressure. This necessitated the crew chief hooking up a 55-gallon barrel of oil and hand-pumping oil to each of the four engines. They entered U.S. airspace at the Texas border and allegedly flew north over Omaha, Nebraska, over SAC Headquarters without our Air Force scrambling fighter jets to intercept them. So much for our national border security in 1980. Meanwhile, the ground crew, out of Minneapolis, was busy that late afternoon, laying out a landing strip in the wheat-stubble field with lights hooked up to car batteries, when they suddenly heard the approach of a large aircraft. They immediately got on their radio and told the airplane they had arrived too early and therefore were supposed to fly into North Dakota and return after dark before landing. However, the pilot having been threatened with automatic weapons, having consumed a quantity of rum for his nerves, and tired from having flown a leaky aircraft for several hours in air space he wasn't cleared to be in, made a heated reply, something to the extent of they were landing now, so get the hell out of the way. And, they did. South Dakota people are friendly folk and have a tendency to help people in distress, thus the ice fishermen on the Missouri River (America's true first line of national border defense) saw the airplane come down in the field, and in their concern for their fellow man, they immediately put down their fishing poles and drove over to assist these unfortunate souls downed in the middle of nowhere. Turned out, the aircrew members were not grateful for this offered assistance. The fishermen became suspicious and one brave guardian of America's borders let the air out of the plane's front tire, and state radio then got a call. Now, the pilot, having been previously involved in these types of operations, had it in his contract that he would be driven to a motel to wait out the unloading process, after which he would be driven back to the wheat-stubble field and would then fly out the airplane. He never went back. Also, a fuel tanker and a flatbed semi with hay bales on the trailer were on a side road nearby to refuel the aircraft and offload the pot bales to then be concealed among the hay bales. They never got to perform their functions. Back at the wheat-stubble field, seeing that all was not going according to plan, the ground crew scattered into the hills. Being city boys, they were not suitably prepared to spend the night in the great outdoors. By morning, most of them stumbled out as best they could to country roads. Cold, shivering, some with hay sticking out of their hair and clothes from burrowing into hay stacks to keep from freezing, these future felons begged to get arrested just to get warm again. For them, their grand pot plane adventure was over. Their court adventure was about to begin. 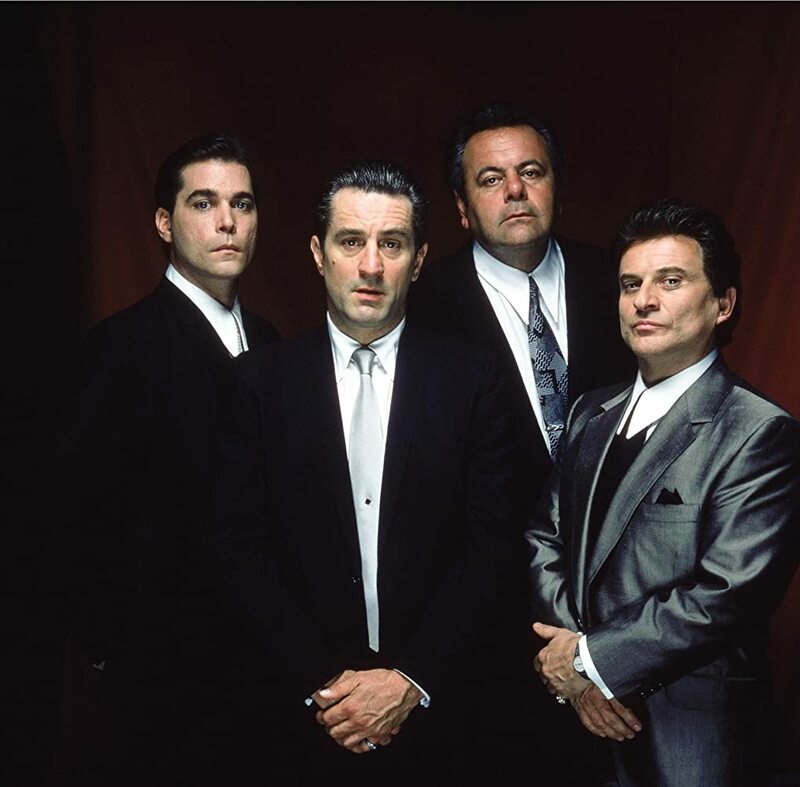 A few months later, DCI Agent Tommy Del Grosso and I flew down to Tampa, rented a car and drove over to a county jail where the pilot had taken up temporary residence. He agreed to talk to us if we'd take him out for a real meal. Guess he didn't care much for jail cuisine. Tommy and I signed him out in leg irons and took him to a local restaurant. When his meal came, I watched him pick up the salt shaker and pour it all over his salad. Having not seen this act before, I inquired as to what he was doing. His explanation was that it was terribly hot in that Florida jail, no air-conditioning for the summer heat, therefore the inmates sweated a lot and the jailers did not provide any salt or salt tablets, so he was taking this opportunity to load up. We got a lot of details from him on the smuggling operation, so he was worth the price of a meal and an empty salt shaker. In the end, we had an airplane from Spain, flown out of Panama by an aircrew from Florida and loaded with marijuana from Colombia. The ground crew, fuel tanker and flatbed semi came from Minnesota, The wheat-stubble field was scouted out by a local boy from West River. 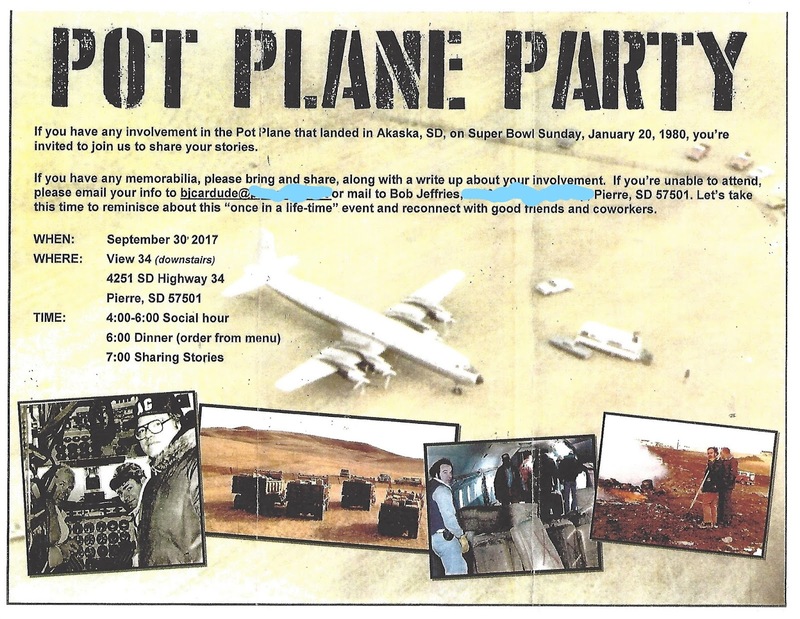 A group of Eskimos from Alaska helped fund this pot plane endeavor, and if all had gone well, then three more smuggling flights were planned. It was several years later, when I learned from another source that one of the higher up pot plane conspirators, that we didn't know about at the time, who was from the Dutch Antilles, took a long walk off one of the upper floors of a high rise in Singapore. The rumor in the drug world at the time was that someone in upper management wanted to ensure that his own name never got mentioned for some of their clandestine marijuana deals. In retrospect, will we ever win this war on drugs? Probably not, but then most of us working agents figured the best we could do on the streets was to try to keep the lid on the garbage can. On September 30, 2017, my old boss and I took a road trip to Pierre, South Dakota, to attend the first and only Pot Plane Reunion. I got to meet and shake hands with the now 98 year old rancher/ice fisherman who let the air out of the plane's front tire. Also listened to the defense attorney who represented the pilot from Florida all those years ago. Unfortunately, too many law enforcement and others who had participated in the case had already passed on and there was one more of us who probably wouldn't make it to January in order to have the reunion on the actual anniversary date. South Dakota. Super Bowl Sunday. A wheat-stubble field. Who'd a thought?